Even small sums of money should be well organised: Thanks to the wallet S kids by reisenthel, pocket money and extra coins from grandma can be practically stored. The child-friendly wallet with a colourful design features a large interior compartment, two pouches and a view pocket. The wallet is closed thanks to velcro and a zip. 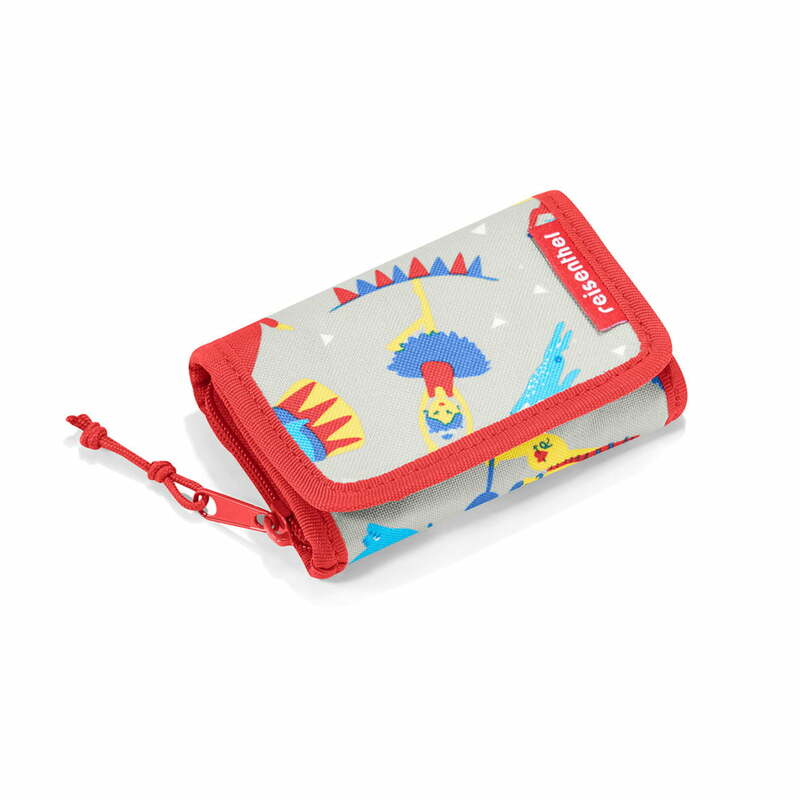 Not only is the wallet ideal for money, but it can also serve to hide away any other treasure your child might have including jewellery, buttons, shells or other bits and pieces. Isolated product image of the reisenthel - wallet S kids, circus. The child-friendly wallet with a colourful design features a large interior compartment, two pouches and a view pocket.